When I saw this scrapbook quote it reminded me of why I love scrapbooking so much! It isn't only the creative outlet, but also the gift I am leaving my children! It doesn't matter if you do traditional scrapbooking, digital scrapbooking, a mixture of the two or even something less intensive…preserving those memories is what is important! A lot of people who don't have a lot of time have turned to Project Life to preserve their photos. It is a quicker way to scrapbook, but still add some of your own flair and creativity to your pictures. There are lots of great Project Life Starter Kits available that make it a breeze to get started. I am thinking about getting some for my 13-year-old so she can start preserving her memories from her own perspective! I spent a lot of time recently looking through some albums my grandma made before she passed away. It was “pre” scrapbooking, but I loved reading her comments about different photos. She also wrote out some wonderful narratives about her life as a child and her family. These are things my family will always treasure! How do you preserve your families memories? 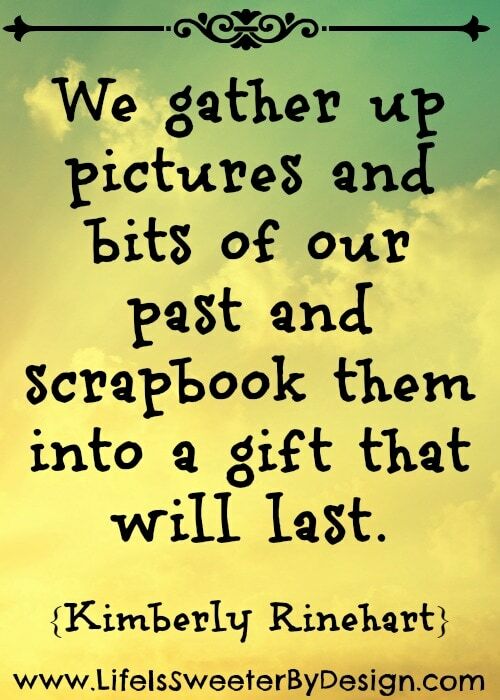 What do you think of this scrapbook quote? 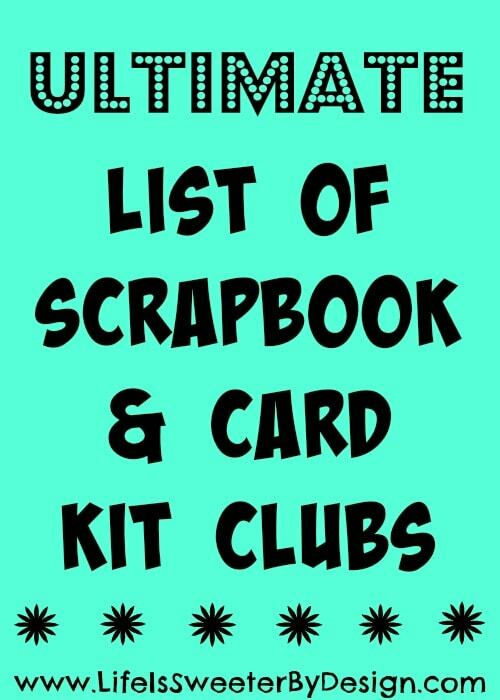 If you are interested in scrapbooking, be sure to check out my Ultimate List of Scrapbook Monthly Kit Clubs!